Rotherham-based Harworth Group, one of the largest property and regeneration companies across the North of England and the Midlands, is continuing to press on with housebuilding on former brownfield land. The company, which is based on its own flagship Waverley development, manages around 31,370 acres across some 200 projects, with consent for 8,000 new homes. It was created through the complex restructure of what was UK Coal. Outline planning consent has recently been received for a development of up to 375 houses in the village of Edlington, south west of Doncaster, South Yorkshire. Doncaster Council has given its approval for the construction of 375 houses, a pub and associated landscaping and public open space on part of the former Yorkshire Main colliery site in Edlington. The development will be known as Warmsworth Gate. The outline planning consent at Edlington was achieved by Harworth's Strategic Land division. Over the last six years Harworth has obtained consents for more than 11,000 housing plots with more than 1,500 plots in Doncaster. Tim Love, director of Strategic Land at Harworth Estates, said: "This development forms part of Doncaster's wider regeneration programme and supports the continuing housing shortfall in the local area. New housing remains in short supply in the UK and this consent is testament to our commitment to providing quality homes to areas where there is a severe lack of housing stock." Construction of 1,200 new homes planned at Harworth's Torne Park, the former Rossington Colliery site, has also begun this year. Harron Homes began constructing 70 homes as part of the first phase of the development after obtaining detailed planning consent from Doncaster Council. Taylor Wimpey also received detailed planning consent for up to 96 new homes. 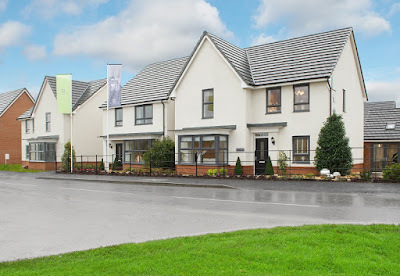 At Waverley, where Harworth secured outline permission for a new 3,890 home community across 741 acres on the site of the former Orgreave Colliery, Barratt Homes has seen almost 50% of its new homes purchased despite only launching its Renaissance development eight months ago. The developer has now submitted detailed plans for the next phase on the Waverley site. Phase 1e is part of Waverley Central area where house-building is coming forward earlier than anticipated. Plans for 66 further dwellings were submitted earlier this year by Harron Homes. The latest Barratt plans are for 126 dwellings providing a mix of accommodation in a variety of styles. It is the first time that four storey apartment blocks have been included in plans for the Waverley development which has raised concerns from current and prospective residents. There are real concerns over the size of the apartments at waverley. House builders have already seen people back out due to the plans proposed by barrats. Let's just hope the council realises that this could ruin the waverley estate which is so far a great place to be.